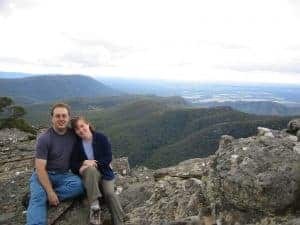 In 2002 my husband and I were still newlyweds, fresh off of our destination wedding in Florence, Italy and our three-week honeymoon in Europe. 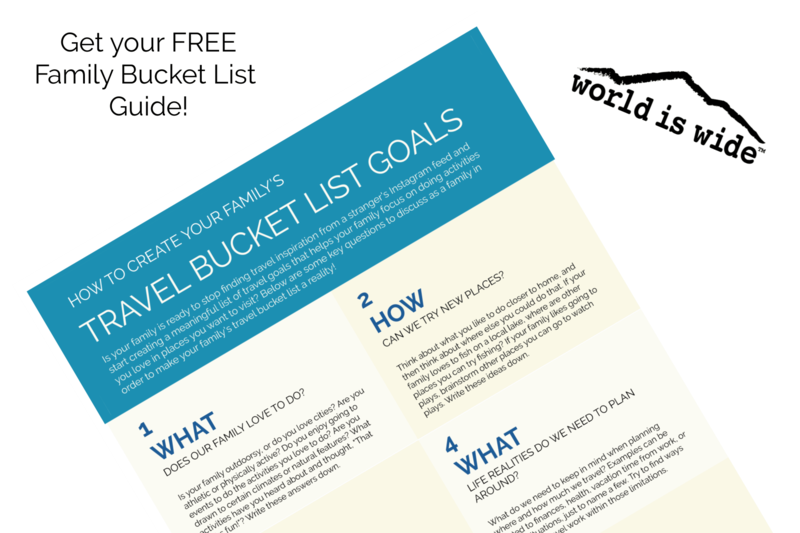 We were young, child-free, and itching for more travel adventures before starting a family. 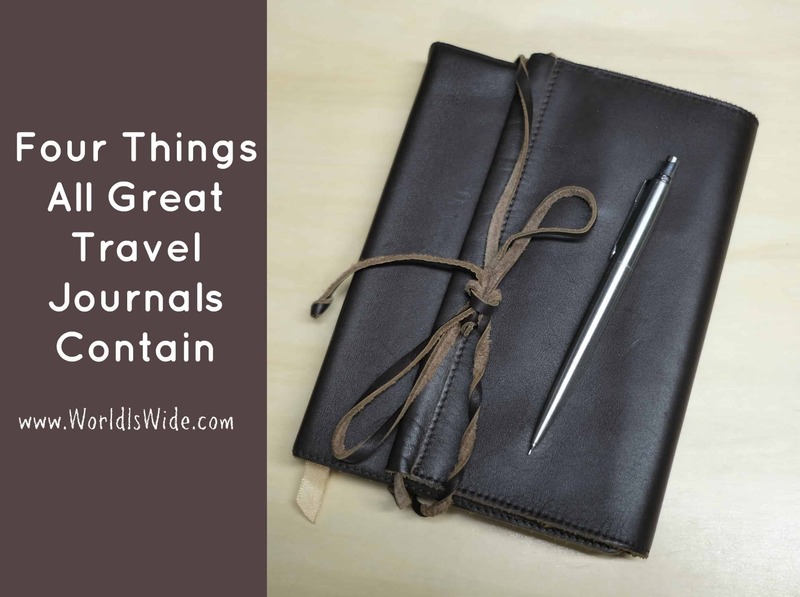 Australia and New Zealand quickly rose to the top of our list, as we sensed that traveling to all seven continents might be on our travel bucket list. We were each going to be able to scrape up two weeks of vacation that summer, which we knew would be winter in the southern hemisphere. We were fully aware that it wasn’t going to be enough time to see as much as we wanted, but we decided to go anyway. 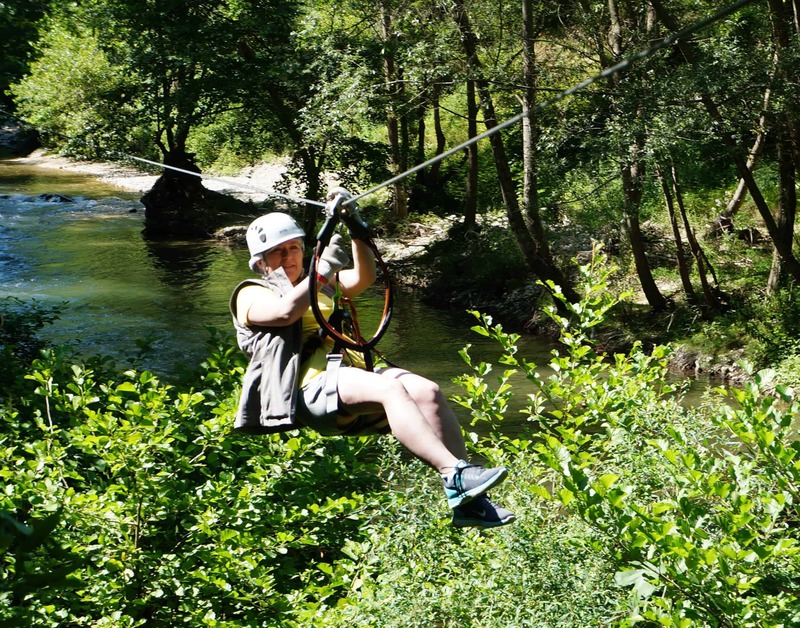 In our minds, we’d either do this trip now, or wait a couple decades until our kids were old enough to enjoy it (or until after they’d grown, so we could go back without them). 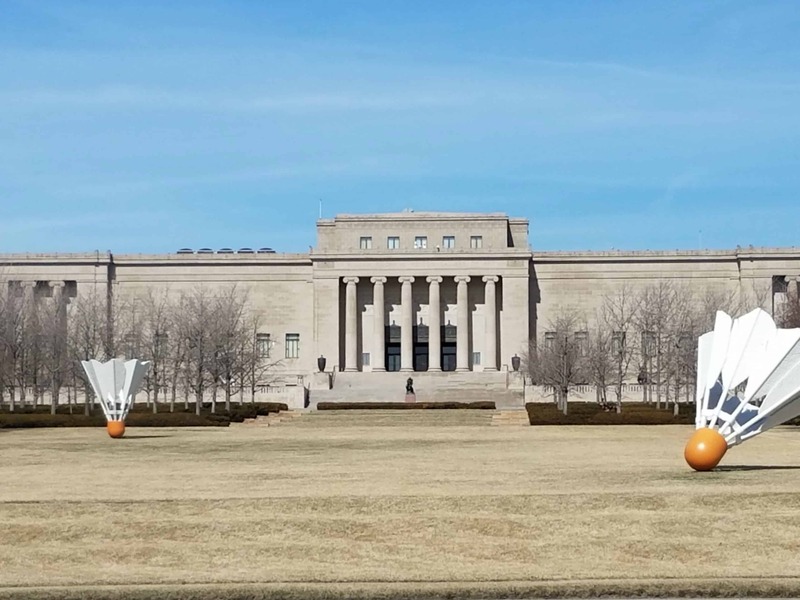 We were not intimidated by visiting Australia and New Zealand in the winter, as we live in Minnesota and can more than hold our own in their moderately cold winter climate. 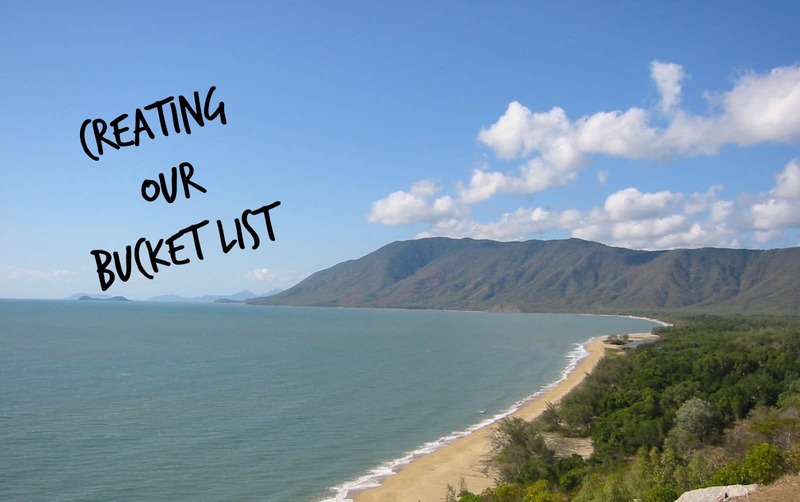 Narrowing down what we wanted to see in Australia and New Zealand was overwhelming and not easy. We decided we needed to get clear on our goals. What it came down to for us was that we wanted to see natural beauty. 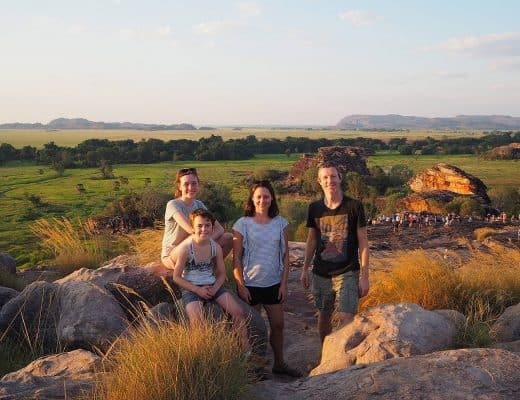 As captivating as a city like Sydney seemed, we lived in a city at the time, so we were much more interested in seeing the best natural wonders that the two countries had to offer us. 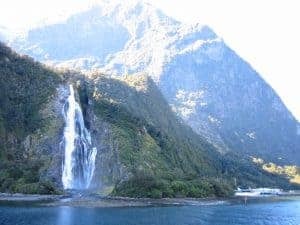 After looking at the options for seeing natural wonders (and there were a lot of options), we went with the following itinerary. For those not familiar with the geography in Australia and New Zealand, none of these locations is close to the others. Melbourne is about 1,800 miles from Cairns. That’s 300 miles longer than the distance from Florida to Maine. And New Zealand is a 4.5 hour flight from Cairns. We knew we were going to be spending a decent amount of our two weeks in transit. But those were the areas we wanted to see, so that was the sacrifice we made. Our trip started with a 12-hour layover in Los Angeles. This was intentional, actually. We had enough frequent flyer miles (back in the days when it wasn’t as impossible to accumulate miles) to fly free round-trip from MSP to LAX on Northwest Airlines. (I told you this was awhile ago.) Because we booked our Quantas flight out of LAX separately (because Quantas was not affiliated with Northwest), we didn’t want to risk missing our flight out of LAX. So we spent the day in Los Angeles driving around to see Rodeo Drive, Mulholland Drive, and other notable LA sights. A final flight home from Queenstown to Auckland to LAX to home. We ended up having a travel agency book the flights for us, as we were feeling a bit out of our depth at that point. Obviously we did a LOT of flying. This wasn’t cheap. We skipped a large vacation the year before so we could do this trip the way we wanted. 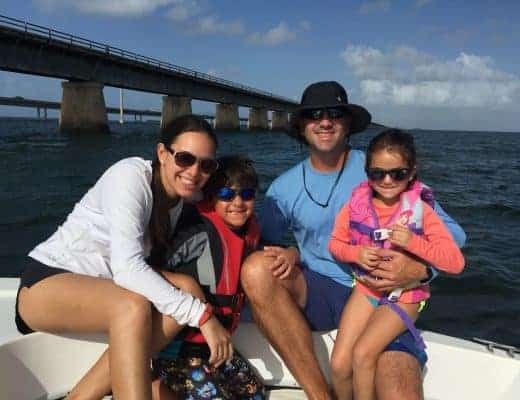 It was far from ideal, since we spent a lot of our two weeks sitting in airports, sitting on airplanes, and picking up and dropping off rental vehicles. In hindsight I may have suggested we be more selective in the number of separate destinations, but knowing we wanted to see as much as possible, it was tough to find the right balance. 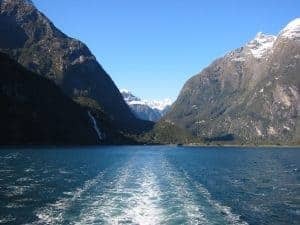 We rented vehicles in Melbourne, Cairns, and Christchurch. My husband did all the driving. This was an adventure, driving on the wrong side of the road for us, with the steering wheel of the vehicle also on the wrong side of the car for us. A few unforeseen difficulties arose, but he got used to it eventually. As we left the airport, I knew what highway we needed, and that we needed to go south. However, when we got to the intersection, the signs pointed to two different towns, but didn’t indicate whether they were north or south. We took a 50/50 gamble and got it right, but it was a little stressful when you’re minutes into driving a car on the wrong side of the road from the wrong side of the car for the first time. Driving in downtown Melbourne was extra tricky. I’m not sure if it is still like this, but there were trams downtown that affected traffic. In order to make a right turn, you had to be in the far left lane. At one point I had to direct my husband to our hotel downtown using only left turns. Roundabouts were not very common where we lived at the time, but they were quite common in Australia. They took some getting used to, especially on the left side of the road. 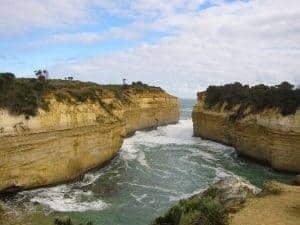 Our first two days in Victoria were spent on the Great Ocean Road. 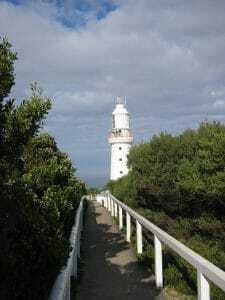 We drove from Torquay to Warnambool along the southern coast of Victoria. When we asked someone what ocean we were witnessing, they said it was the Southern Ocean. It didn’t seem to bother them that we are taught that there are only four oceans, and the Southern Ocean is not one of them. Jet lag came upon us by Apollo Bay, so that is where we spent the first night. 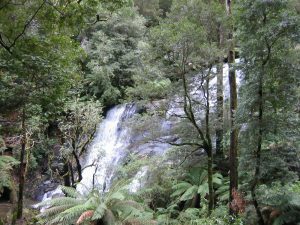 On our second day we came across a small temperate rain forest, Cape Otway lighthouse, some waterfalls, and more great scenery. The graphic signage in Australia really cracked us up. Then we came upon the Twelve Apostles. 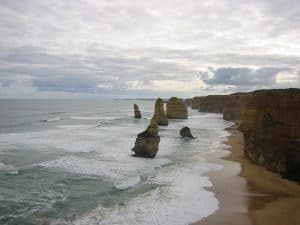 The views on the Great Ocean Road were really stunning. Pictures don’t do it justice. Our second night was spent in Warnambool, a town known for its great whale watching. Sadly we didn’t see any whales. From the Great Ocean Road we drove north to Grampians National Park. 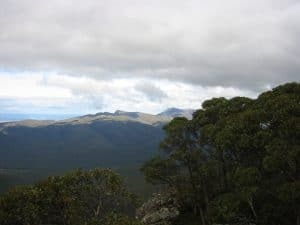 Once there, we headed out on a fairly grueling 5.8 mile hike on the Mount Rosea trail. 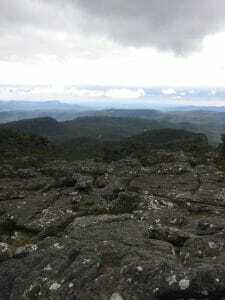 The views were really fantastic. Oddly enough, the scenery reminded us a bit of the Black Hills of South Dakota, which are only an 8 hour drive from our home. After spending the night in Halls Gap, we drove back to Melbourne via Ballarat, an old gold mining town. We did some souvenir shopping there. We spent our last evening in Victoria wandering a bit in downtown Melbourne. 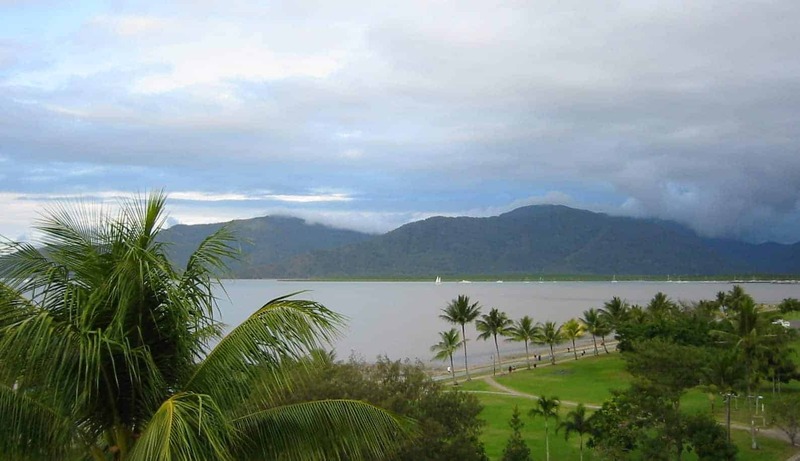 We were excited to spend five nights in the same hotel in Cairns, rather than hotel hopping every night. 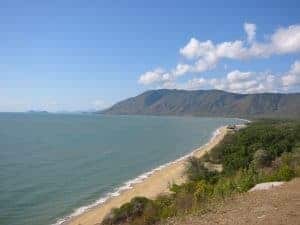 Cairns is the jumping-off point for the Great Barrier Reef, and the warm, tropical climate was a nice change from the chillier (but nothing compared to Minnesota) winter weather in Victoria. Our view from our hotel was stunning. The next day we took a drive to Cape Tribulation. It was a long drive with a lot of curves and big speed bumps, but look at that view. On our third day in Cairns, well, we just needed a day to catch up. We did laundry, went shopping, and ran errands. And that was it. No guilt. It was just what we needed in order to recharge mid-trip. On our final day in Queensland we decided we should try to actually see some of Australia’s famous wildlife. 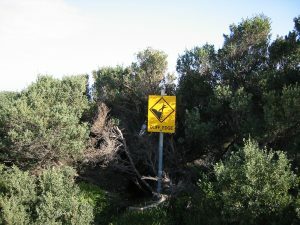 We’d only seen road-killed kangaroos and wallabies up to that point. So our first stop was at a wildlife sanctuary in Port Douglas. We saw kangaroos, wallabies, crocodiles, emus, koalas, cassowaries, and all kinds of native wildlife. Even though we had to pay to see Aussie wildlife, we were glad we did. Next, since David was itching to see “the outback,” we decided to drive inland from the coast to see what we could find. Turns out that you don’t have to drive very far away from the coast to feel like you’re in the middle of nowhere. I believe we only drove in about 60 miles. 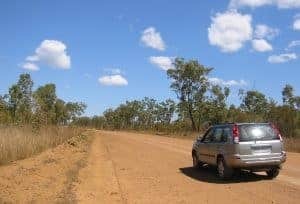 We found ourselves in the Atherton Tablelands area, and the roads were gravel and washboarded. 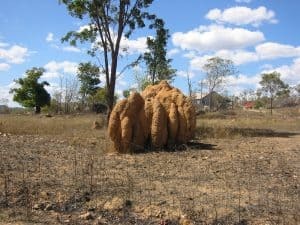 We saw termite mounds and vast open spaces with nothing, I mean nothing, out there. On to New Zealand! When we landed in Auckland we were surprised to find that, instead of a shuttle to our hotel, there was one of those fancy drivers holding a sign with our name on it! We had arranged a ride to our hotel with our flight, so that was a fun little treat. 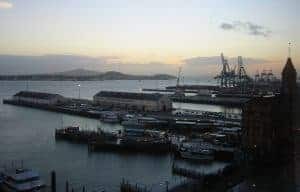 That night we stayed at a hotel on the harbor in downtown Auckland. Not a bad view from our hotel room. The next day we were supposed to fly to Queenstown via Christchurch. However, when we landed in Christchurch we discovered that our flight to Queenstown was canceled due to a storm in the Queenstown area. 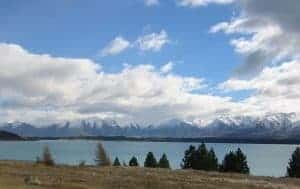 We knew Mount Cook National Park was on the way to Queenstown but out of the line of the snowstorm, so we decided to drive there for the night and make our way to Queenstown afterward. It was a serendipitous twist to our trip. The drive was absolutely stunning. I can’t put it into words, and the pictures were so far from the reality that I almost didn’t include them here. Mountains and glacial lakes and simply untouched scenery. Gorgeous. 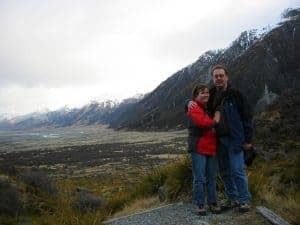 We stayed that night at The Hermitage at Mount Cook National Park. 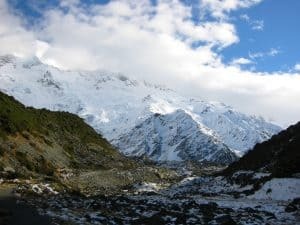 We hiked to the Tasman Glacier that night, and to Kia Point in the morning. The drive from Mt. Cook to Queenstown via Wanaka was equally stunning. We commented that we’re not sure why they bother specially designating any roads as scenic highways in New Zealand, because they were all just jaw-dropping. We stopped in Queenstown only to make sure we could find a hotel room for our final night of the trip. 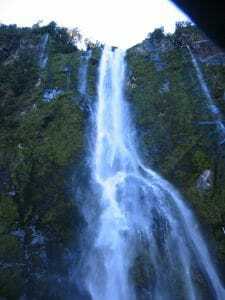 From there we headed to Te Anau to spend our second-to-last night, so that the next day we could get a tour to Milford Sound. 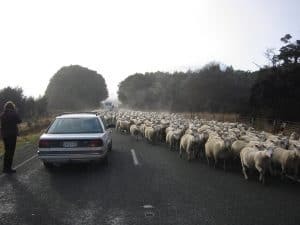 The drive from Te Anau was surprisingly jammed up. 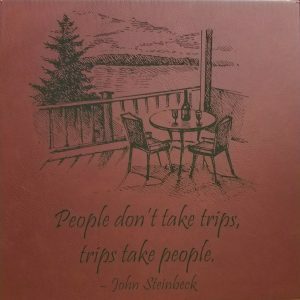 But not with cars or tour buses…with sheep. 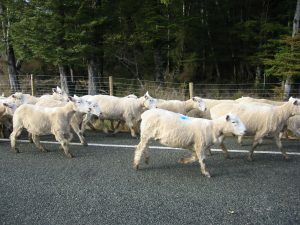 Hundreds of sheep using the road to get from one place to another. 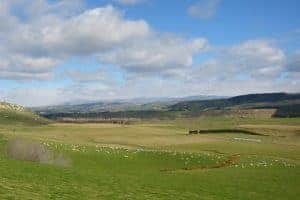 You’ve heard that there are more sheep in New Zealand than people? Well, it was certainly true in this part of the country. The rest of the drive was a fairly harrowing drive on Milford Road, which had just finally gotten paved in the 1990’s. It was such a memorable road that my husband bought a book about its construction. 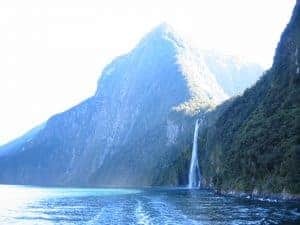 And the scenery in Milford sound itself was beautiful. Apparently it’s technically a fjord, not a sound, but why quibble? It’s one of the most beautiful places I’ve been blessed to see. We spent our last night in Queenstown wandering around the town. It’s definitely a ski and adventure-type crowd there. It felt a little like walking around Aspen or Estes Park. They offered all kinds of heli- options where a helicopter drops you off at the top of the mountain, and you take various means down: heli-biking, heli-skiing, etc. What an amazing trip! I would do it all again in a heartbeat. If I was forced to choose between which of the two countries I want to go back to see, it would be New Zealand. Hands down. But Australia is amazing as well. Our days ended very early. It would have been nice to have early evening time to explore some more, but it was too dark to do so. Because of the geographic range we covered, we had to bring clothing and coats for winter and summer. We did this trip without checking bags, so packing was tight. A note on the exchange rate: When we went in 2002, the exchange rate was $1 US = $2 Australian. As of the writing of this post, the current exchange rate is $1 US = $1.28 Australian. So we were able to get much more lodging, food, fuel, and souvenirs for our dollar than we could if we took that trip today. I didn’t write down the exchange rate for New Zealand, other than to note that it was not quite as good as it was in Australia. Many of the places we drove on this trip were out of radio station range. This is the pre-smartphone era, so we were wishing we had brought some music along for the car rides (which, in 2002, meant CD’s). In Auckland we ended up buying an old (and crappy) Pink CD and the O Brother, Where Art Thou soundtrack, a favorite of ours. We listened to the latter for many hours as we drove around New Zealand. Before we left, we brought a Kodak disposable camera from the US. It turns out it would have been cheaper to buy the same disposable camera–made by an American company–in Cairns, which is a really touristy town. Go figure. Back in 2002, eco-friendly toilets were the norm virtually everywhere we went, with two separate buttons for whatever business you performed in the restroom. All these years later, and this technology is still hardly present at all here in the US. According to my journal, we had to pay for ketchup in Australia, but not in New Zealand. 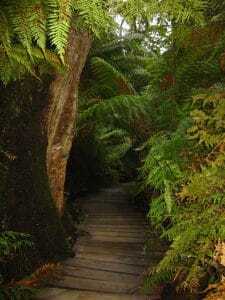 Nice to get a taste of australia and new zealand…you are helping me xpand my travel wish list! 1. I would love a packing post because I can’t imagine not checking baggage for a trip that long. 2. I have never driven when I traveled internationally, do US drivers licenses work fine or did you need to get some kind of international ID? 3. What is your and David skin care regimen. Do you realize that 2002 was 16 years ago? You two have not aged a bit. I obviously would not be able to resurrect the exact packing list we used, but suffice it to say that we relied a lot on layers of easy wicking/drying fabrics, repeating items of clothing (a lot), making sure we could mix and match clothes so it didn’t feel as much like we repeated outfits, and washing laundry in the sink pretty often.